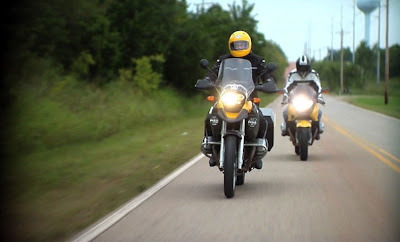 A special edition of Two Wheel Oklahoma will premiere November 23 at 8:30 p.m. The special show is a best-of episode featuring clips from eight journeys around Oklahoma. Co-hosts, Brad Mathison and Rex Brown, travel the backroads and highways of the Sooner State by motorcycle and share their experiences in a travel journal format. Highlights will include locations such as Arcadia, Watonga, Sapulpa, Spavinaw and many more. Two Wheel Oklahoma is available on the Cox Channel (HD channel 703 or SD channel 3) on Wednesdays at 8:30 PM with encore showings on Saturdays at 9:30 PM and Sunday mornings at 9:30 AM. Cox subscribers will also have access to watch the show whenever they like using a video-on-demand service. "I'll be lookin for ya..."